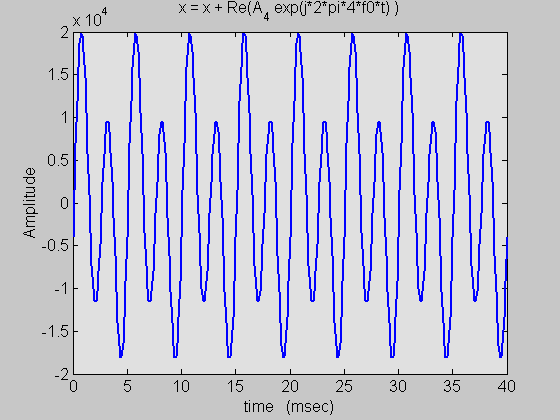 This demonstrates the idea of harmonic sinusoids. 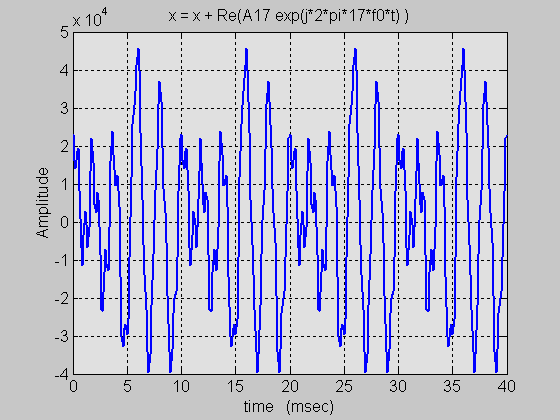 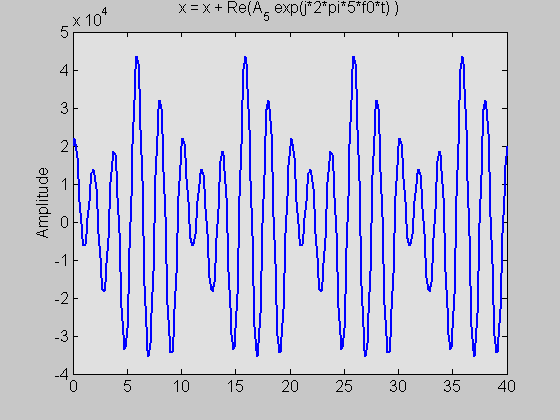 Five sinusoids with a common fundamental frequency are added together, one at a time. 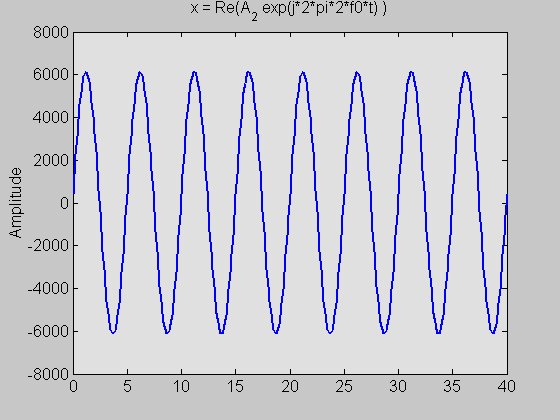 Thus we can see how the waveform changes as higher harmonics are added in. 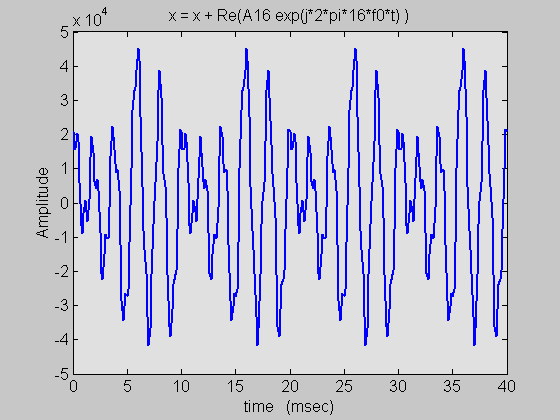 Click on the waveform to hear what it sounds like.